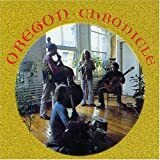 • Oregon emerged in 1970 as a splinter band from the Paul Winter Consort. Its members each had experience in jazz, classical, and a variety of non–western musical styles, and were also multi–instrumentalists. Ralph Towner played standard acoustic and 12-string guitar, piano, a variety of electric keyboards, trumpet and flügelhorn. 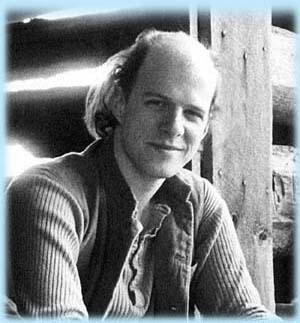 Paul McCandless' instrumental arsenal included oboe, English horn, soprano sax, bass clarinet, the musette, and tin flute. Collin Walcott handled most of the percussion duties on tabla and various African and Latin rhythm instruments plus sitar, dulcimer, clarinet, and violin. Glen Moore was the bassist, and also played clarinet, viola, piano, and flute. They suffered some snide comments labeling them the "Modern Jazz Quartet of the '70s" or "a white, European imitation of the Art Ensemble of Chicago." In truth, they were an excellent ensemble playing a hybrid style that wasn't exactly jazz, and certainly wasn't rock, but liberally quoted and borrowed from free jazz, Asian, African, European and pop music sources. They began on Vanguard, later moved to ECM, and also issued albums on Elektra and Portrait/Columbia. Walcott's death in a car accident in 1984 was a major blow but he was eventually successfully replaced by percussionist Trilok Gurtu. Oregon has worked at times with some guest players (including Zbigniew Seifert, Nancy King, and Elvin Jones). Their Elektra albums were reissued on CD by Discover, while their Vanguard and ECM albums have also been remastered and re-released on compact disc. Mark Walker, a master percussionist and drummer from Chicago, eventually replaced Gurtu, and became a full-time member of Oregon in 1996. Beginning with 2005's Prime, Oregon recorded for the CAM Jazz label. Family Tree appeared in 2012. ¶ The second youth of Oregon, which coincides with their landing several years ago at CAM Jazz, continues to hold great surprises. The joy of playing together again, serving music, going into the recording studio with the same intensity of their early work, leaves us wonderfully amazed still to this day. ¶ Family Tree is dedicated not only to the immediate families of each of us, but also to the extended family of listeners, producers, technicians, and all that have supplied the encouragement and help that have kept us thriving. Our dedication to the expansion and improvement of our music-making is the fruit of this care and the trust placed in us. ¶ Five–time GRAMMY winner Mark Walker is one of the most respected drummers on the scene. His jazz, Latin jazz and studio resume is like a who's who of music. Walker is a 15 plus-year member of the American Jazz group Oregon (featuring Ralph Towner) and a 23-year member of the Paquito D'Rivera Quintet. He also leads the Latin jazz group "the Rhythm of the Americas". Walker has collaborated extensively with Lyle Mays, Paul McCandless, Michel Camilo, Caribbean Jazz Project, Dave Samuels, Tiger Okoshi, Andy Narell, David Liebman, Patricia Barber and Cesar Camargo Mariano. ¶ He has played concerts and/or recorded with Michael Brecker, Ivan Lins, Dianne Reeves, Milton Nascimento, Sammy Davis Jr., Donna Summer, Mike Stern, Salif Keita, Schoenherz & Fleer, Linda Eder, Frank Wildhorn, Peter Cetera, Dennis DeYoung, Cathy Richardson, Eva Ayllon, Chucho Valdez, Bebo Valdez, Jerry Gonzalez, William Cepeda, Slide Hampton, Dave Douglas, Claudio Roditi, Howard Levy, Arturo Sandoval, Michael Manring, Grace Kelly, Simone, James Ingram, Peabo Bryson, Rosa Passos, Leny Andrade, Joe Henderson, David Onderdonk, Fred Simon, Bob McGrath, and The Buckinghams. ¶ In addition to teaching private lessons, labs and ensembles at Berklee College of Music, Walker travels world–wide touring and teaching master classes, clinics and workshops on Latin drumming and percussion. His publications include "World Jazz Drumming" a drum set instruction book and CD covering everything from Uruguayan candombe to Cuban rumba guaguanco.